I started programming at a very young age, following an introductory summer course in Logo in the late 1980’s. Learning to code and developing software never appeared to me as assignments or chores. These were simply the most fascinating recreational options around and served as a great medium for being creative and performing in front of my friends and family. After a decade of coding for fun and as a job, I was first exposed to the exciting world of education while volunteering in the community at a small town in the south of Israel. It didn’t take long before I started teaching my own programming courses for elementary school children, using the most appropriate environment available. The year was 2001, and “Web 2.0” was not even a buzzword yet. The tool of choice was Microworlds, a desktop application allowing students to create small games and animations scripted with an Object Oriented dialect of MIT’s Logo. The courses were a hit! I was surprised to find out how natural it was for children of that generation to intuitively grasp abstract concepts such as events, functions and variables. I would program small game-like coding challenges for my students to solve, as a method of practicing each new element of programming they had learned. In the final sessions of the course each team of students invented and implemented their own small computer game! There was one main drawback to this wonderful endeavor. Having worked hard to successfully create their own games, students expected those to become popular – at least for a very short while and among their friends and family… But alas, sharing their products and letting people use them on different computers was technically so complicated that it virtually never happened. 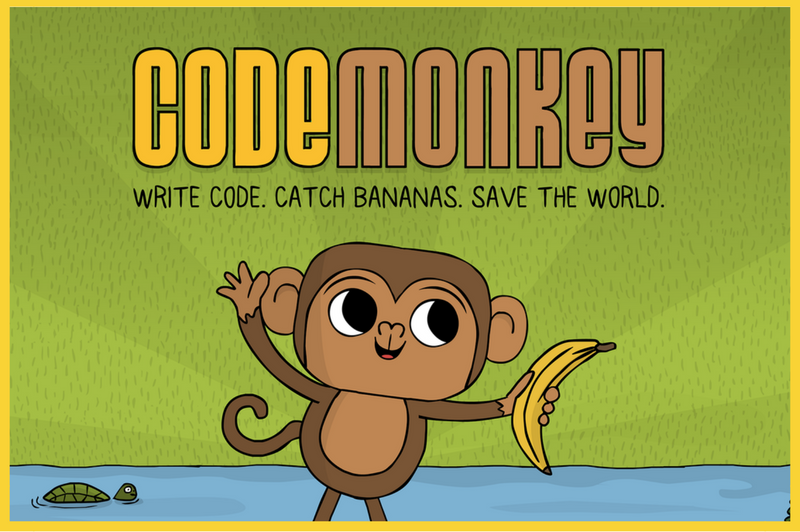 Based on this experience the basic concept for CodeMonkey was born: An online coding platform that will (A) contain a game for learning and exercising the fundamentals of computer programming and (B) make creating & sharing as easy as ABC! Another decade passed when both the Internet and education systems have matured to allow such a vision to become a reality. Stay tuned now for the 1st official release of CodeMonkey on May 1! Next PostNext CodeMonkey is 1 year-old!